STI Langley provides the tools, materials and knowledge you require for superior synthetic turf installations. No matter what your vision is, our team has the ability, training and backing to transfer your thoughts into a reality. 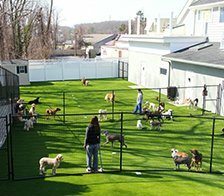 Our parent company, Synthetic Turf International, is a global leader in the Research and Development of artificial grass. We consistently allow competitive manufacturers into our facility to help better the industry. 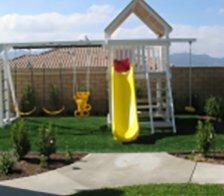 We have the capability to manufacturer a complete range of industry-leading and custom artificial turf for any solutions. 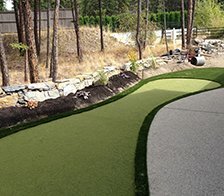 From 165oz/sq.yd tee lines to PIEMA certified playgrounds to FIFA certified indoor and outdoor sports fields, your project will be done right – with proven and adapting installation techniques bridged with the highest-quality materials available. At STI Langely and STI – who we are extends far beyond our products: Our broad knowledge of design and extensive experience ensure that your project will be a success, and our commitment to exceptional service guarantees a great experience from start to finish – and beyond! Proudly serving the Fraser Valley, Langley, Coquitlam, Port Moody, New Westminster, Surrey, Maple Ridge Abbotsford Chilliwack and Hope. With our ISO 9001 certification, 3rd party auditing assures our products meet the standards we set and advertise. This ensures consistency; meaning this ensures that our bed knives are sharpened weekly, the purity in our urethane backing is true, the face weight in our products reflect the actual weight listed and much more! 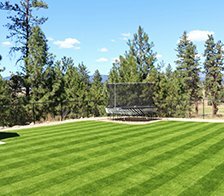 With our technology and expertise in artificial grass, we lead the way in: constructing artificial putting turfs, supplying synthetic driving range materials, creating state of the art landscape opportunities, building safer, more dependable playgrounds, and engineering indoor sports complexes. Anything you can imagine with synthetic turf, we can manufacture! We stand behind our products 100 percent, and provide our customers the most extensive support in the industry.